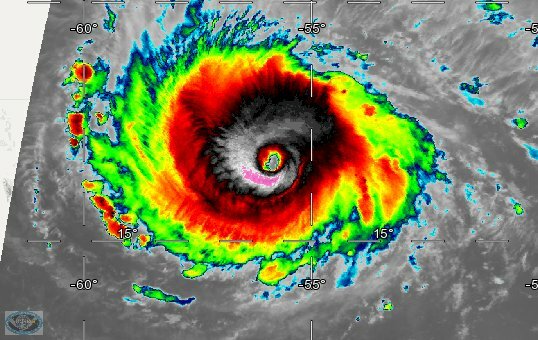 Hurricane Irma is monster and it doesn’t look like much or any loss of strength as it heads WNW. As with all hurricanes, the forecast track is what everybody is watching closely. And with all longer-range forecasts, confidence is high in the beginning with uncertainty increasing with time. It is pretty clear the Irma will continue moving WNW for the next 3 days or so. Nearly ideal conditions at the ocean surface and in the upper level wind structure will keep this storm at either a category 4 or 5 during this time. 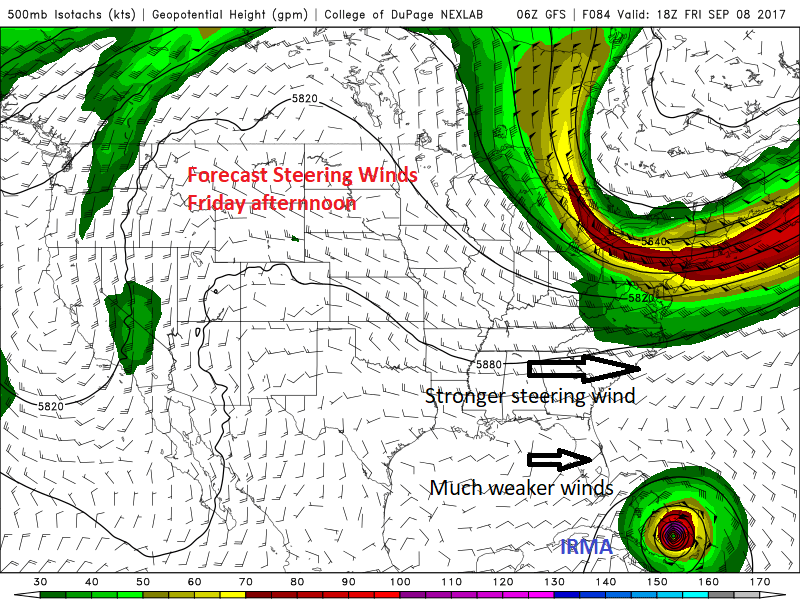 The real trick with Irma is how it will interact with an upper-level weather system moving into the eastern U.S. by late week. Many times, such features will start turning tropical weather systems north or northeast. With Irma, this may happen but there is enough uncertainty in the forecast to consider many possibilities by late in the week. Irma is a large and dangerous storm! Coastal areas of Florida should be preparing (as always) for its arrival by late week. It is not entirely out of the realm of possibility that Irma could end up in the Gulf of Mexico.